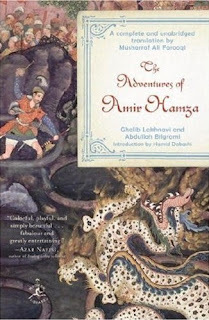 The Adventures of Amir Hamza or the Dastan-e Amir Hamza is a grand epic from the Islamic cultures of the Middle East and beyond. Rooted in the legends of valour of prophet Muhammad's uncle, Amir Hamza, the narrative attracted legends of greater and lesser heroes and became a compendium of exploits of the fictional character Amir Hamza and his companions. For the first time Western readers have a complete text from the Urdu language which cultivated this essentially oral narrative to introduce enchanted kingdoms and extra-terrestrial realms. This is the first major translation of an Urdu classic in 300 years. Published in Annual of Urdu Studies, Vol 15, 2000.